I was raised in an arts-oriented family and have been bonded with drawing since I was a kid. Becoming a tattoo artist was not appealing to me at first because this profession is generally not well-respected in society. 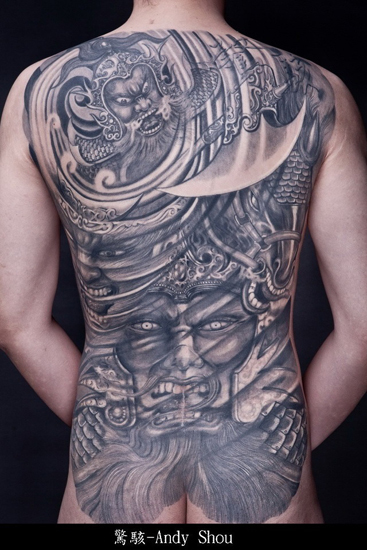 People often perceive tattoos with a negative gangster image, especially in Asia. One day I came across a very beautiful tattoo work that changed my attitude. I was surprised by the amount of unique message expressed from tattoo. I started to become very interested in this form of art. I decided to study tattoo seriously. 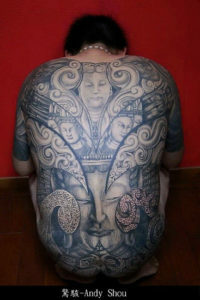 When I began my career, there were very few tattoo artists in Taiwan. Most were not willing to teach or share their techniques. I learned how to tattoo mostly by myself. My past drawing training was very helpful. After two years of self-teaching and practicing, I accumulated experience by tattooing on friends and eventually formed my own studio. These friends are truly my best teachers! I have very high respect for a teacher, Mr. Chiang-Hsun. This is a inspirational motto to me. It made me realize that to create is to share! 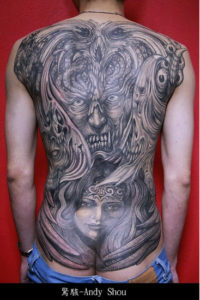 This is the essence in tattoo arts!